Bisexual News: Indian transgender taxis, Do you dare to sit? Indian transgender taxis, Do you dare to sit? It is reported that an Indian travel company announced the country's first by the LGBT (lesbian, gay, bisexual, transgender) community with personal taxi service. 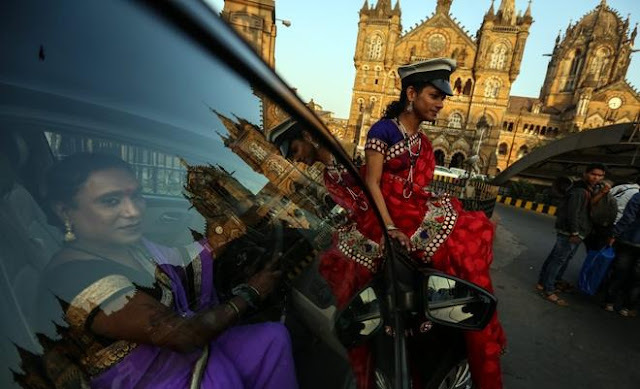 On January 20, 2016, in mumbai, India, transgender SanjeevaniChavan sit within her taxi driver, and an Indian transgender open of the taxi, dare you sit?